Judge Keith, Mitch Albom, and representatives from the Detroit Tigers Foundation, an affiliate of Ilitch Charities, and the Baseball Tomorrow Fund (BTF), a joint initiative between Major League Baseball and the Major League Baseball Players Association joined City representatives and the Tigers mascot “Paws” for the ceremony. With grants in the amount of $80,000 from BTF and $40,000 from the Detroit Tigers Foundation, field renovations included the reconstruction of the playing surface, drainage, irrigation system, the replacement of the backstop, dugouts and fencing. Maintenance equipment was also purchased. The Hon. Damon J. Keith Baseball Field completes the renovation of athletic facilities at S.A.Y. Play Center, joining Matthew Stafford’s football field and the Detroit Pistons’ basketball court. Located on 14.2 acres in the Osborn school district, the S.A.Y. Play Center at Lipke Park takes a unique approach to Motivational Learning, offering top flight, state-of-the-art athletic facilities, arts and science programs, and access to professional athletes- but only if participants (students aged 8 to 18) commit to earning at least a 3.0 grade point average and study for at least an hour each day in the 7,000 sq. foot digital learning center (“The D.E.E.P.”) within the campus. 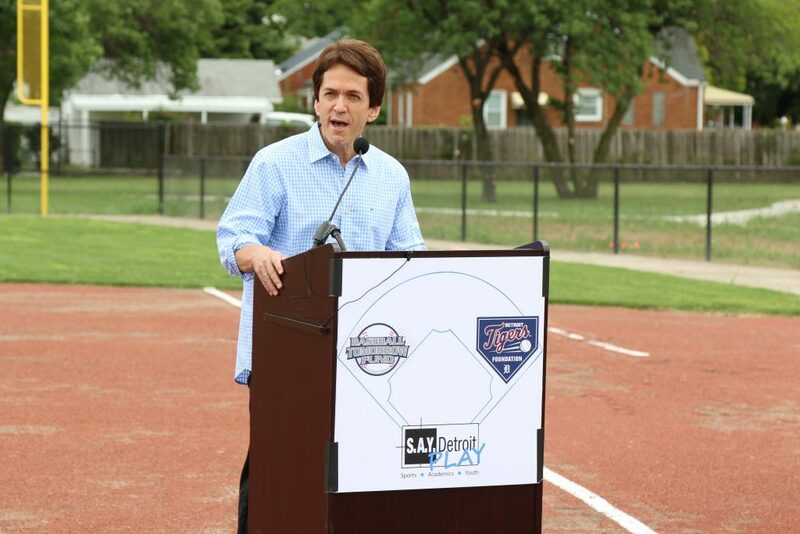 “This baseball field completes a trifecta of wonderful opportunities for Detroit kids at the S.A.Y. Play Center. Joining a football field built by the Lions’ Matthew Stafford and a basketball court supported by the Pistons, the Tigers Foundation and the Baseball Tomorrow Fund have built a field of dreams for children to enjoy for years to come. There is no greater game than baseball, and giving Detroit youth a chance to play it is only fitting. 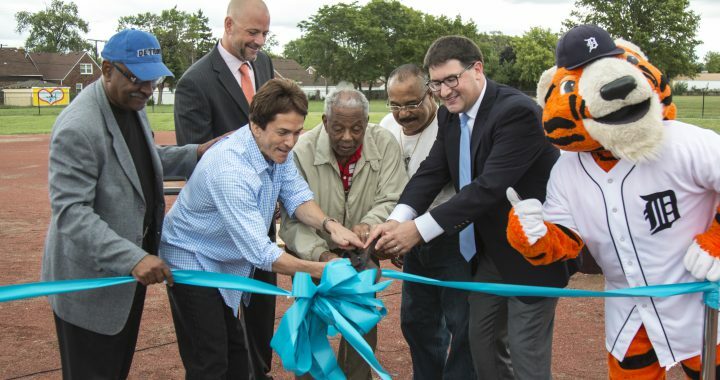 And there is no greater Detroit legacy to honor than that of Judge Damon Keith, who will serve not only as namesake of this new field but as inspiration to the young minds and bodies that play on it”, said S.A.Y. Detroit Founder, Mitch Albom. 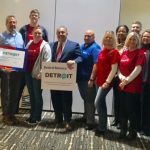 Open to all Detroiters, the Center works closely with schools to monitor the progress of students and ensure they are meeting the entrance standards, as well as identify the areas in which they need work. The Center also provides programming for dance and music, including a recording studio funded by Notes For Notes, a national educational music organization. 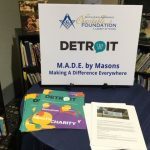 The Detroit Tigers Foundation is the official charity of the Detroit Tigers baseball club and is an affiliate of Ilitch Charities, a 501(c)(3) public charity. The mission of the Foundation is to enhance lives through the game of baseball with a focus on youth, education and recreation. From ticket donations and field renovation projects to an award winning, State-wide anti-bullying program, the Foundation aids in the development and funding of innovative programs that reach Tigers fans with positive messages and promote the good citizenship embodied in the storied history of the Detroit Tigers. 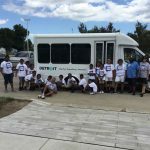 Since its inception in 2005, the Detroit Tigers Foundation has awarded over $19 million in grants, Tigers tickets and college scholarships throughout the State of Michigan, northern Ohio and southern Ontario, Canada. The Baseball Tomorrow Fund (BTF) is a joint initiative between the Major League Baseball Players Association and Major League Baseball designed to promote the growth of youth baseball and softball throughout the world by awarding grants to support field renovation and construction projects, equipment and uniform purchases, coaches training material and other selected program expenses. Since its formation by the MLBPA and MLB in 1999, BTF has awarded more than 900 grants totaling over $30 million to non-profit and tax-exempt organizations in the U.S., Canada, Latin America, the Caribbean, Europe, Africa and Asia. BTF also facilitates league-wide initiatives including the collection and distribution of new and gently used equipment to organizations in need as well as field maintenance education clinics. Born in Detroit on July 4, 1922, Damon J. Keith has served as a Judge on the U.S. Circuit Court of Appeals for the Sixth District since 1977. Prior to joining the Court of Appeals, Judge Keith served on the U.S. District Court for the Eastern District of Michigan, at the Michigan Civil Rights Commission and as a member of the U.S. Army. For nearly 50 years, Judge Keith has persuasively and movingly defended the Constitution, helping communities enforce their civil rights. He has received numerous honorary degrees, and countless awards and distinctions, including the Edward J. Devitt Distinguished Service to Justice Award, the highest award that can be bestowed on a member of the federal judiciary.